Lace cap wigs that don't require the use of adhesives are often referred as "glueless" which isn't a word... Here at TCPG, we understand that as of 2015, "glueless" cannot be found the Oxford dictionary and wigs that come with caps impregnated with glue also don't exist and that although tape exists, the phrase "tapeless lace wigs" hasn't suddenly appeared... but it's the term du jour, so we'll use it here - until the revolution for sensible lace wig cap terms is underway...yay! The term refers to whether a lace wig requires adhesive (glue or tape) in order to be worn as typically the undetectable hairline was achieved with lace wigs is using adhesive. 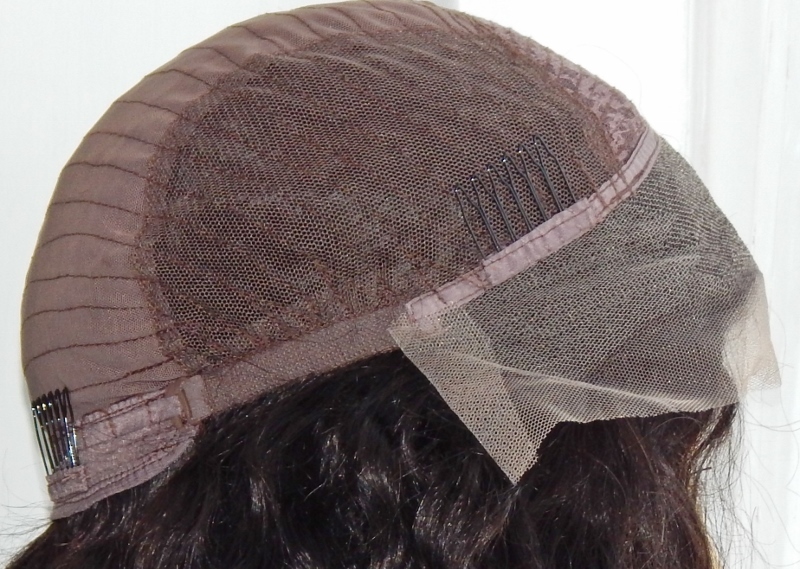 The lace cap wig can be customised to include thin skin at the lace front, a silk top and additional combs or clips. 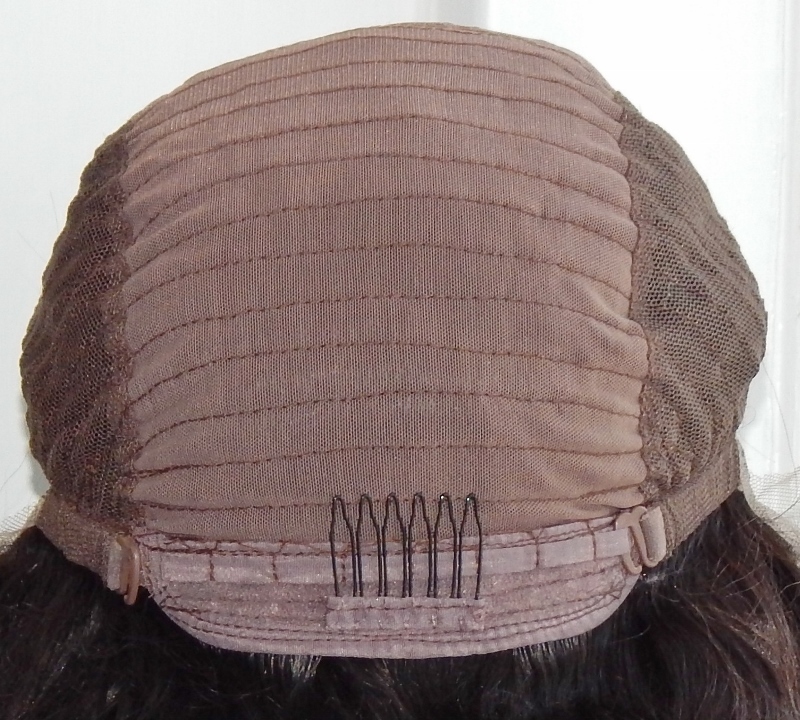 If you have significant or total hair loss and therefore cannot use the combs or clips, these can be removed or you can customise your order so that your lace front wig comes with adjustable straps but without combs and clips - in this instance a thin skin perimeter might be preferable as the PU strip can be worn without the need for adhesive - the seal it forms with the skin is not particularly breathable and if you're prone to oily skin or you perspire significantly then adhesive should be used. If stretch lace is added the cap construction will afford an extra room and if this is important to you then ask your chosen retailer how much extra (if any) there is. 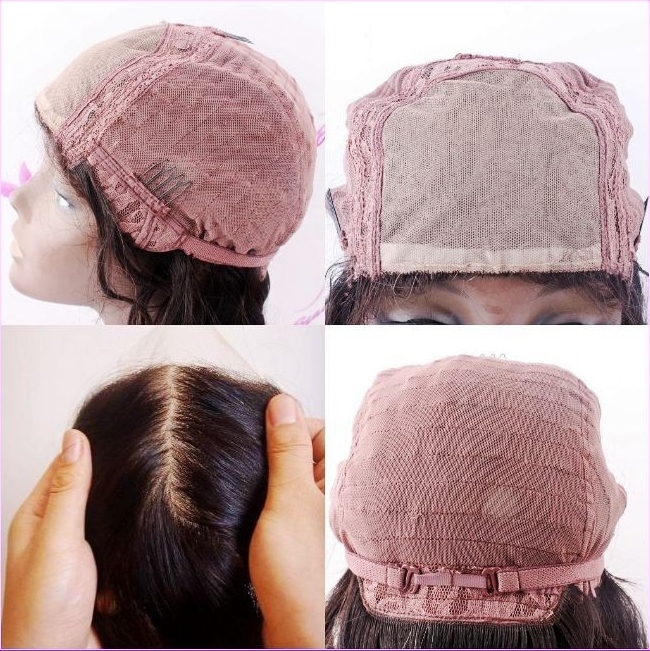 This is a really easy lace front wig cap construction to use and is a great option for those who are new to wearing lace front wigs as well as being popular with those who have worn them for some time. If you're totally new to lace cap wigs and don't want to go for the standard lace front wig; or if you're allergic to adhesives or solvents (or just want to take a break from using them) then a "glueless" lace front wig is a great alternative. As there is no lace at the top of the ears, it means that the hair cannot be worn in a high up-do as the edge of the cap would show – however our top tip is to simply go for the chic tousled (or loose) high ponytail so that some of the hair is covering the top and back of your ears, covering the cap edge, and the hairline of the lace front wig is not pulled upward or backwards - hey presto! If you've chosen clips, combs or a stretch lace cap, remember that the stretch lace and combs can be seen if you part your hair close or through those areas - and can make certain hairstyles difficult to achieve (half up, half down style, canerows, pigtails and so on). As adhesives are not used, it means that the hair cannot be worn in a high up-do as perimeter would lift up . 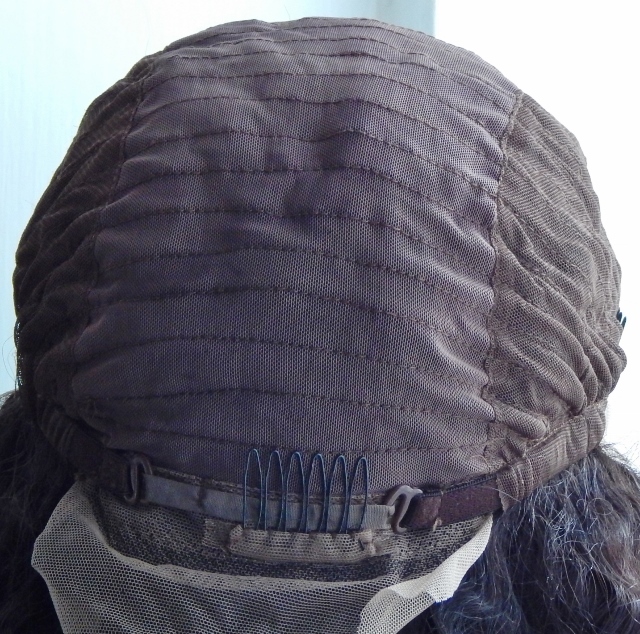 However the TCPG top tip is to go for the fashionably tousled (or loose) ponytail so that some of the hair covers the hairline front of the lace wig is not pulled upward or backwards. The development of different cap constructions for full lace wigs has been a somewhat slow burning affair but the growing popularity of lace wigs has sparked the development of different cap styles. 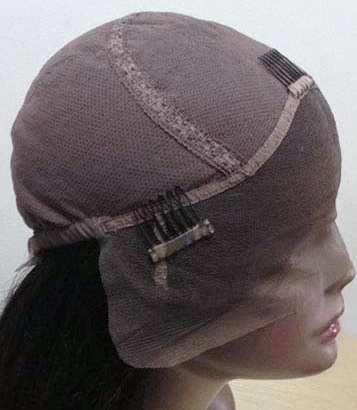 It's easy to be enticed into all sorts of options for your lace front wig cap construction, without really knowing whether you need (or even want) the full box-set of accessories.